In 2016, the National Rugby League and Touch Football Australia forged an historic sporting partnership, representing the biggest boost to participation and game development in the history of either sport. In bringing this partnership to life at grass roots level, South West Queensland Touch are proud to partner with the Gold Coast Titans. The two sports are working together to create the largest sporting community in the country, ensuring there is a ‘place on the field’ for everyone. The Queensland Titans are the state’s southern most touch football NRL Touch Premiership team, which covers the South Queensland and South West Queensland regions. The Titans will once again compete in the NRL Touch Football Premiership in 2019, tapping off in April. The partnership between the Gold Coast Titans and South West Queensland Touch will enter its third year this season, with opportunities to engage participants across both codes from the grassroots right through to the elite level of competition. 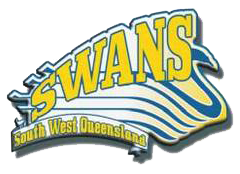 Providing opportunities for the development of players in the region is a priority for South West Queensland Touch. Entry into one of Queensland’s premier touch football competitions, the Metro Cup, provides an opportunity for players in South West Queensland to access a high level competition outside representative tournaments regularly. In 2018, South West Queensland Touch and Western Mustangs Rugby League Football Club entered a partnership agreement, providing SWQ Touch with the opportunity to brand our teams as Western Mustangs which in turn strengthens the link between our codes. South West Queensland Touch is proud to support and partner with Touch Football Specialised, who provide opportunities for individuals with intellectual impairments to participate in a modified version of Touch Football. Modified fields, rules and equipment (if required) are utilised to allow access for all individuals regardless of their condition. 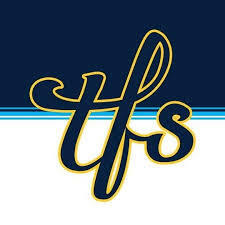 TFS operates in conjunction with Touch Football and Rugby League bodies to provide a variety of opportunities for athletes.